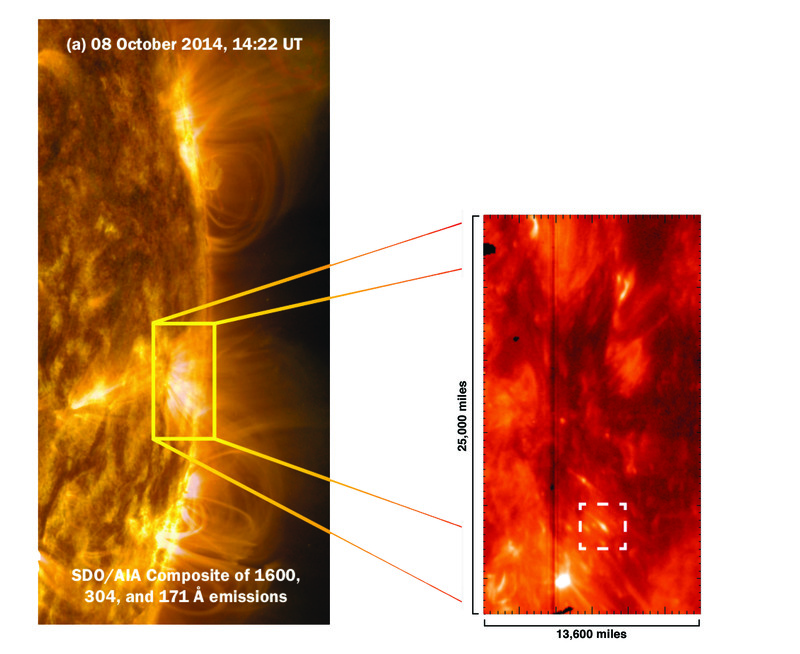 Images from IRIS show the tadpole-shaped jets containing pseudo-shocks streaking out from the Sun. The discovery of the solar tadpoles was somewhat fortuitous. 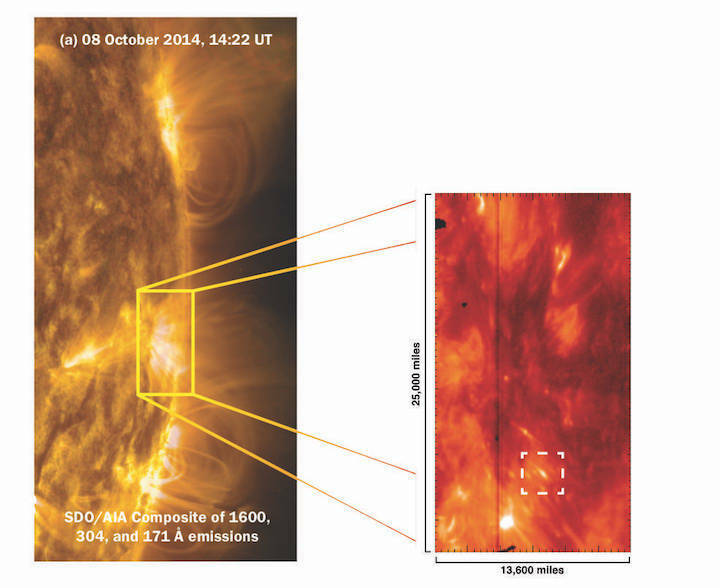 When recently analyzing data from NASA’s Interface Region Imaging Spectrograph, or IRIS, scientists noticed unique elongated jets emerging from sunspots — cool, magnetically-active regions on the Sun’s surface — and rising 3,000 miles up into the inner corona. The jets, with bulky heads and rarefied tails, looked to the scientists like tadpoles swimming up through the Sun’s layers. “We were looking for waves and plasma ejecta, but instead, we noticed these dynamical pseudo-shocks, like disconnected plasma jets, that are not like real shocks but highly energetic to fulfill Sun's radiative losses,” said Abhishek Srivastava, scientist at the Indian Institute of Technology (BHU) in Varanasi, India, and lead author on the new paper in Nature Astronomy. A computer simulation shows how the pseudo-shock is ejected and becomes disconnected from the plasma below (green). The tadpole-shaped pseudo-shocks, shown in dashed white box, are ejected from highly magnetized regions on the solar surface. The newest member in NASA’s heliophysics fleet, Parker Solar Probe, may be able to provide some additional clues to the coronal heating mystery. Launched in 2018, the spacecraft flies through the solar corona to trace how energy and heat move through the region and to explore what accelerates the solar wind as well as solar energetic particles. Looking at phenomena far above the region where pseudo-shocks are found, Parker Solar Probe’s investigation hopes to shed light on other heating mechanisms, like nanoflares and electromagnetic waves. This work will complement the research conducted with IRIS.